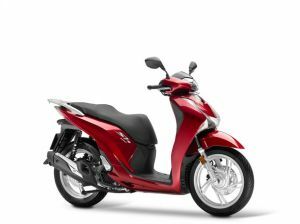 Honda’s Atessa factory, founded in the Abruzzo region of Italy in 1971, has reached a historic milestone: the production of 1 million units of the perennially popular SH scooter series. The SH story began in 1984 with the production - in Belgium - of the SH50 ‘motorino’ moped. Manufacture of the second generation SH50, and the new SH100, moved to Atessa in 1996. Honda’s main European manufacturing plant has remained the home of SH production ever since and now makes all three currently available SH models: the SH300, SH150 and SH125. The SH125 model has been produced at Atessa since 2001, and was Europe’s best-selling scooter in 2016 with over 17,000 units sold. The latest version of the SH125 went into production in December 2016, and features LED lights front and rear, remotely-operating Smart Key and new styling that is even more refined and sophisticated, while retaining a classic SH look.